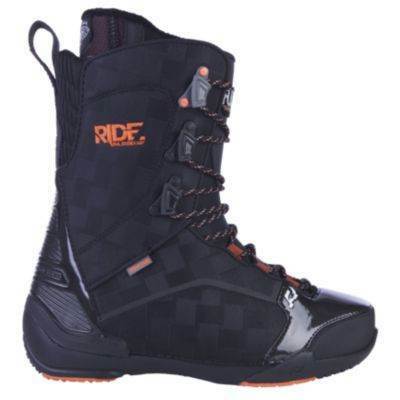 The 2014 Ride FUL has a nice upgrade giving this traditional lace boot a little more ability to tighten the mid to upper part of your boot like you can with Speed Lace and BOA. 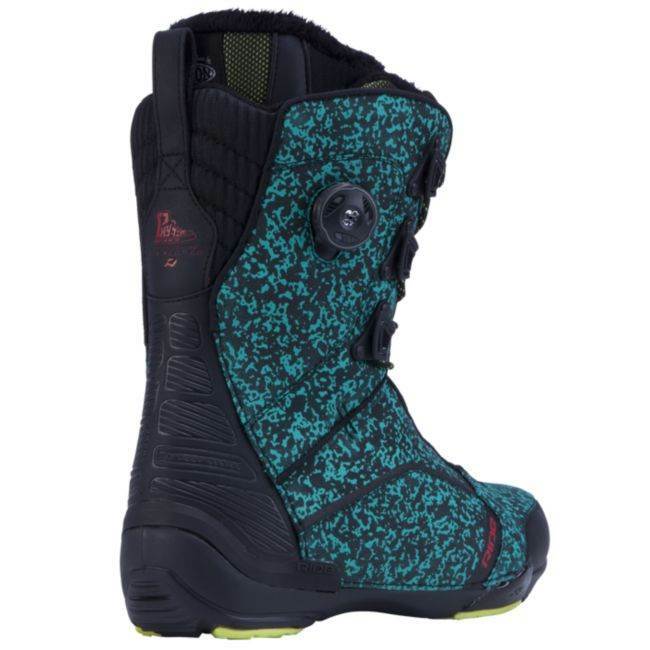 You still have the ability to adjust your boot in a traditional lace fassion but you have a BOA that connects to the tongue so it can pull it better into the boot. 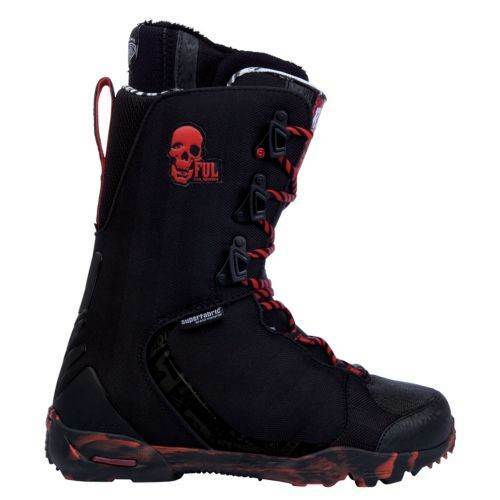 It makes for a more secure fit and a little better heel hold than most traditional lace boots. 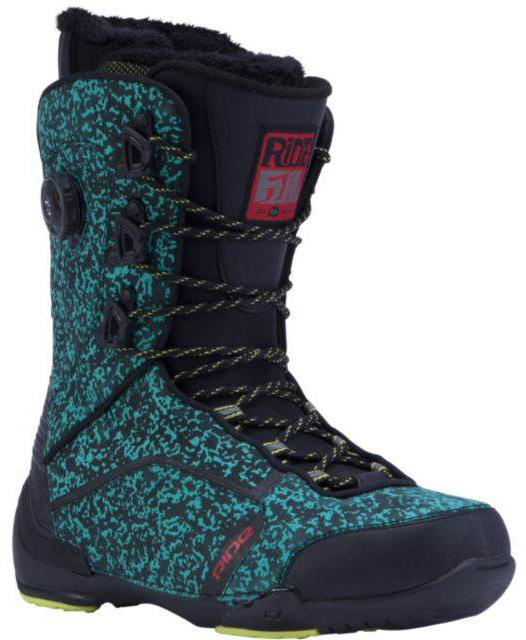 Ride does something special when it comes to reducing their footprint and they are at the top of the industry with Burton when it comes to this. 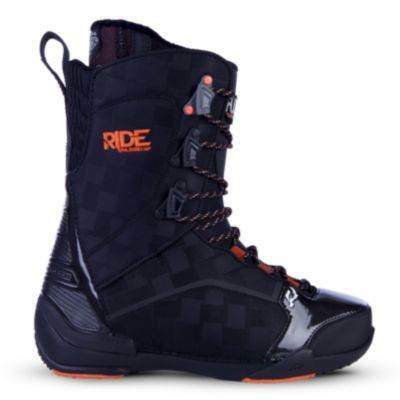 A size 10.5 is more like a 9.5 or even smaller so if you are one of those riders that always live on the border of the different sizes you can now size down and maybe fit into that narrower board you always wanted to ride or fit better into a size Medium instead of be inbetween a size L or M. The FUL is light and responsive while still having a nice balance between old school and new school in terms of the ride. 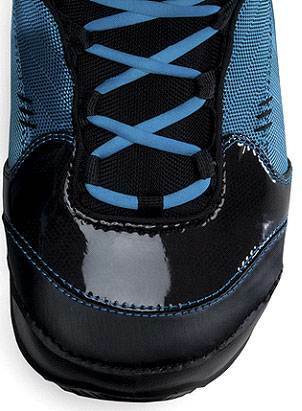 You also get a little more support with the 3 lace system on the upper part than you do with the Triad and RFL. 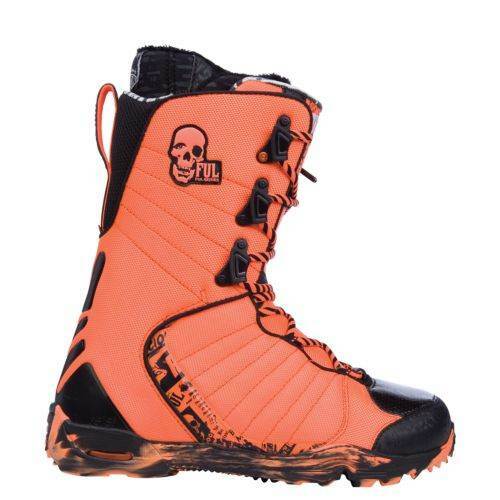 The Ride FUL has been around for a while and many people have ridden this boot. 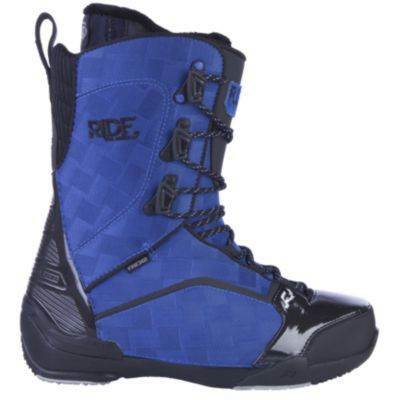 Ride has been working on their liners over the past few years and the FUL has been getting more and more comfortable. It’s very light so for those with knee issues when sitting on the chair with the board hanging will like this boot. 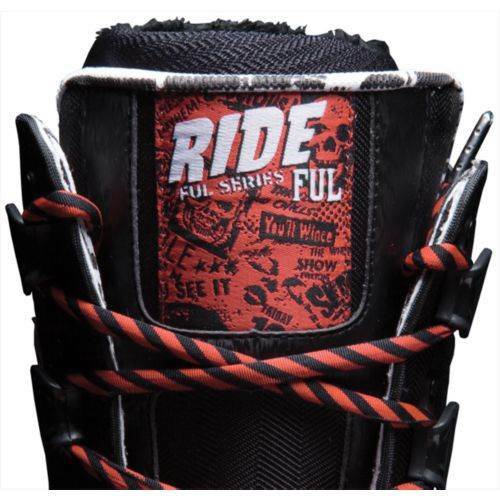 The Full does a good job anywhere on the mountain and fit’s a wide variety of riding styles with it’s medium flex. 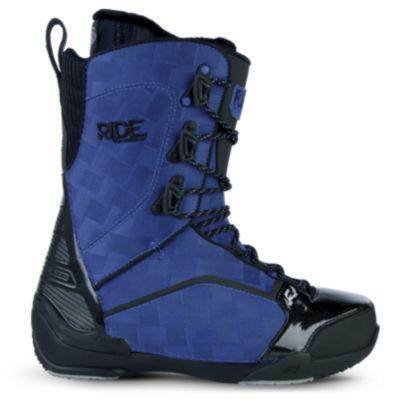 We love the lace adjust ability and it’s pretty easy to lace up compared to other traditional lace boots. 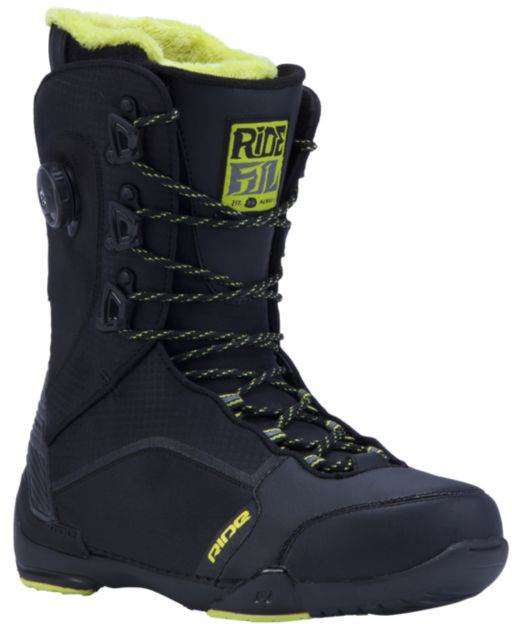 The Full can be a good boot and works well with many riding styles. There is not much difference between 2011 and 2012 except for a more comfortable liner. This makes the boot fit a lot better and pack out a little less. The 2013 took it a step further and offers a little more streamlining on the construction method. We try to get as many images of the Ride FUL, but forgive us if they're not all there. 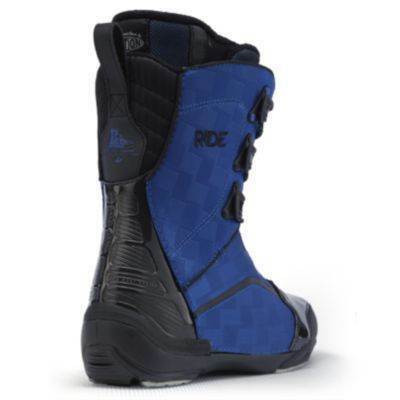 I rode these boots for 100days last year '12 model and they held up pretty well. leaked by the end. 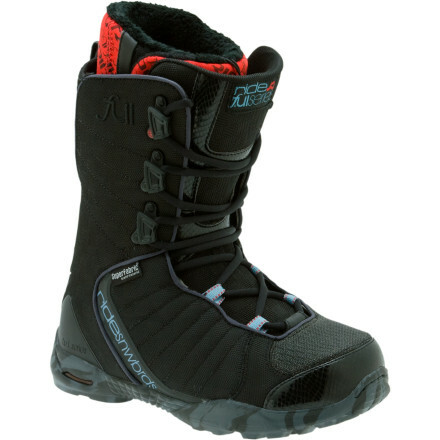 Good, light responsive boot for the price. 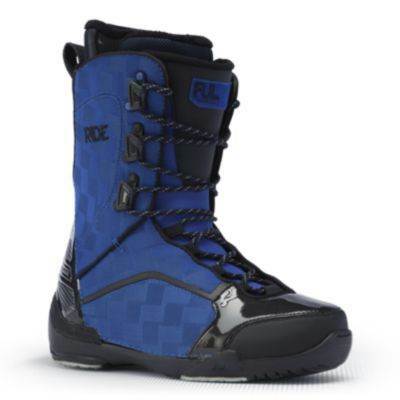 They fit my feet well and i found them very comfortable except they gave me a big bruise on my shin due to the low profile padding. after a week or to my shin got used to it so was ok. I rode a pair of '13 model boots for less than 2 weeks this year and they fell apart on the seam over the little toe on both boots. I had them replaced with RFLs. so 1 great experience, 1 not so great, hence only 3 stars. 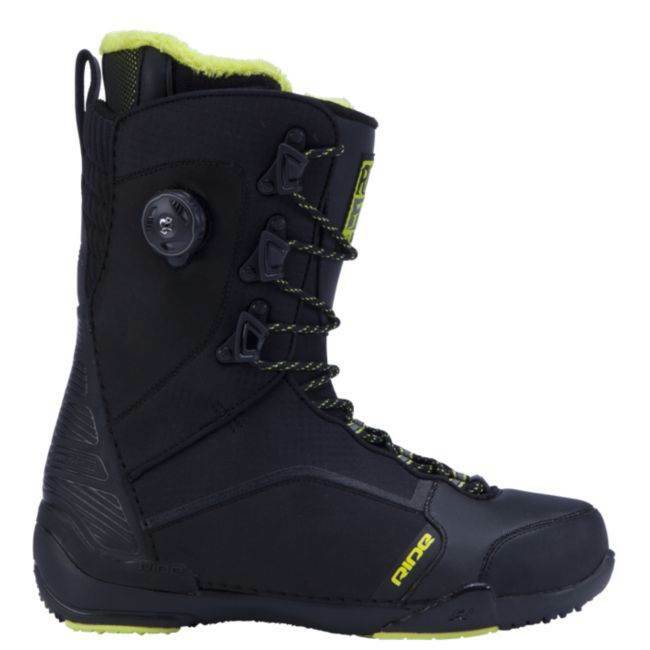 This is my first time on a FUL and I am really enjoying this boot. I have put 30+ days and they are holding up just fine. 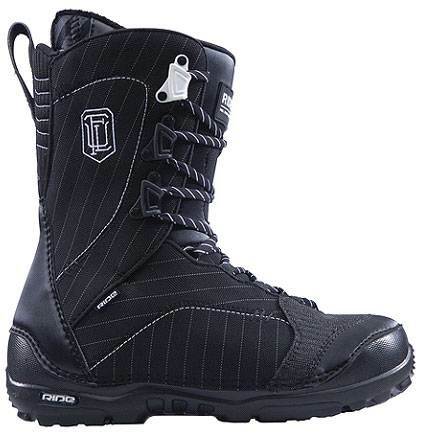 I wear a 10.5 boot and it fits a 25 inch waist width (gnu billy goat) board just fine. The reduced foot print really helps with my bigger foot and the snug fit in the binding (ride capo). 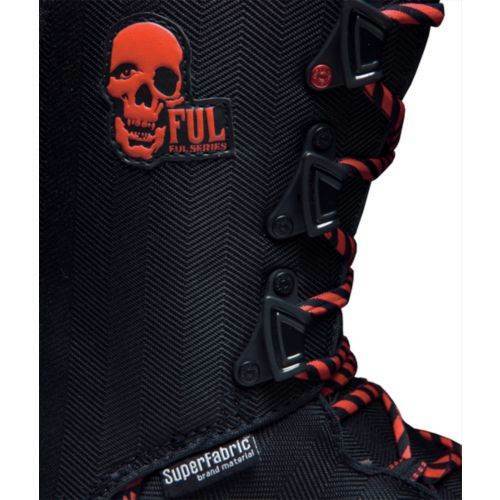 The heel hold is great, it is very comfortable, and they are well built. 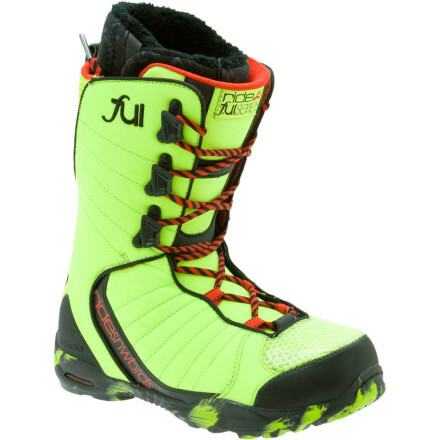 As James pointed out these boots are super light and are superb for hanging boot on the chair. 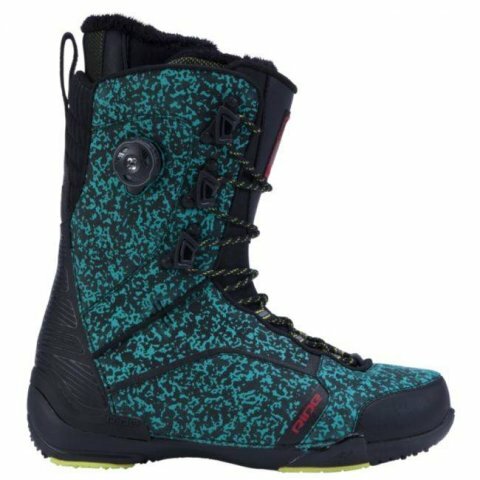 I also find them perfect for hiking with. 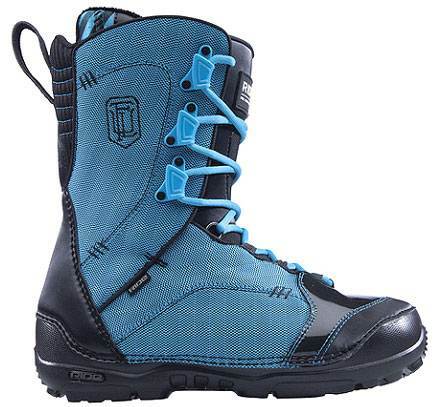 These boots make a huge difference when heading into the backcountry. If you are not split boarding and are earning your turns these are the boots for you. 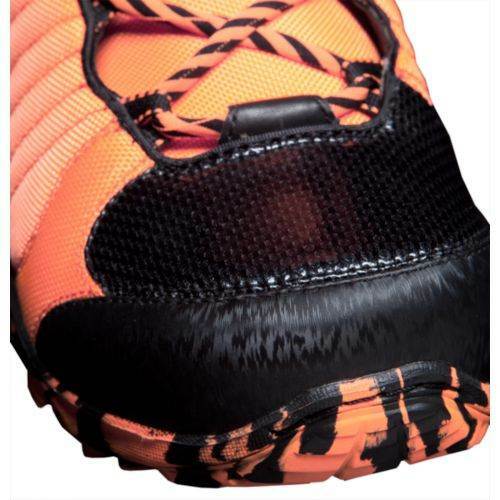 The only small complaint I have with them is the somewhat finicky plastic speed lace for the inner boot. Every time I wrench on it I feel like it is going to break and sure enough it has snapped on me once. Luckily the board shop here had a replacement pull and it was a pretty easy fix.